Secretary General of the Council of Europe Thorbjorn Jagland’s visit to Moscow to attend the 65th anniversary celebrations of the victory in WWII came as Russia steps up its cooperation with the organization. 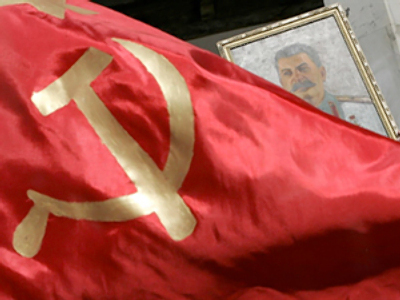 In an article written for the Russian daily Kommersant, Jagland said that present-day Europe owes its existence to the feat of the Soviet Union’s peoples. They made the decisive contribution to the liberation of Europe and overthrowing the Nazi regime,” he stressed. Meanwhile, this decision may be influenced by other issues, observers say. The attention of the most representative European organization, the Council of Europe, is traditionally attracted to the ties between Russia and its neighbors, said Fedor Lukyanov, editor-in chief of Russia in Global Affairs magazine. For the European elite, cooperation with Russia is a question of the place of Europe in the world in the 21st century, he said, writing in Kommersant. The competition between Moscow and Brussels in the former Soviet space would marginalize “the big Europe,” the analyst believes. However, their joint efforts not only remove the problem of “intermediate countries,” but also give Russia and Europe the chance to become countries that, together with the US and China, will determine international politics, he said. 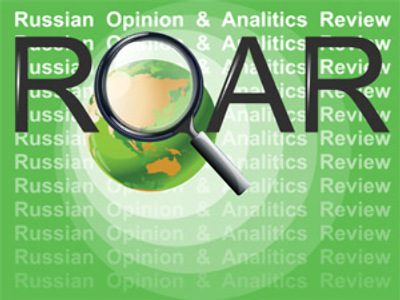 Moscow hopes the organization will understand Russia’s position better, and not just the North Caucasus issue. Earlier this month, members of the Monitoring Committee of the Parliamentary Assembly David Wilshire and Matyas Eorsi prepared a report on the humanitarian consequences of the August 2008 events in the North Caucasus after meeting with Russian and Georgian officials. However, at the end of April the Parliamentary Assembly of the Council of Europe scheduled a debate on the report rather than vote on it. The move was considered a success of the Russian delegation at the PACE session. Moscow considers the decision a sign of a more realistic approach to the situation in the North Caucasus. Discussing Russian-Georgian relations at the latest session, members of PACE had to admit that “the fragility of the situation in the Caucasus directly influences the European security,” Vremya Novostey daily said. PACE failed to adopt its fourth successive resolution on the conflict in the Caucasus, the paper noted. 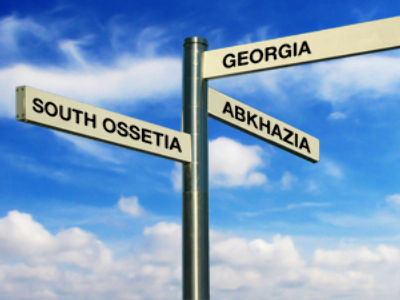 The previous ones called on Russia to reverse its recognition of Abkhazia and South Ossetia. Due to disagreements between Wilshire and Eorsi, the assembly will return to the issue in autumn. Eorsi, “who did not conceal sympathies for Georgia,” had not been reelected to the Hungarian parliament, the daily noted. He will be replaced by another deputy. However, the co-chairman of the monitoring group Wilshire may be replaced too, the paper noted. He was rebuked by Tbilisi for holding a meeting with South Ossetia’s representatives in the republic’s embassy in Moscow in April. Swiss diplomat Heidi Tagliavini told PACE on April 28 that there were “no winners and losers” in the 2008 conflict. Tagliavini, who chaired the international commission probing those events, reiterated Georgia had begun full scale aggression, “triggering off the war” with a heavy artillery attack on Tskhinval. At the same time, she described this attack as a culmination of years of mounting tensions and put responsibility on all sides. Russia is fulfilling its commitments, the daily said, citing members of the Russian delegation in the PACE. 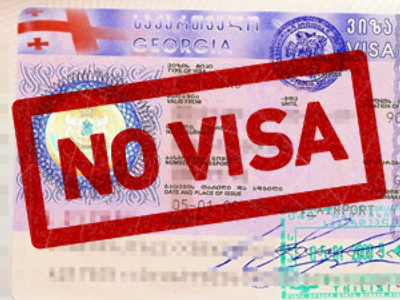 As for the Russian troops that are based in the region, their presence “prevents Georgia from resuming military activities,” it quoted deputy Dmitry Vyatkin as saying. First deputy head of the State Duma Committee on Foreign Affairs Leonid Slutsky proposed to Georgian colleagues to start talks immediately in Strasbourg to overcome the humanitarian consequences of the conflict. He described their rejection as “destructive,” the paper said. During the last 20 years, Russia’s attempts to establish good relations with the West had not always been met with understanding or a satisfactory response, he told the PACE session in April. Entirely new relations should be established inside the US-Europe-Russia triangle, he said. Lavrov made it clear that Russia would continue to defend Abkhazia and South Ossetia so that the aggression was not repeated. However, the Russian leadership believes in the resumption of a “constructive partnership” with Georgia. Prime Minister Vladimir Putin said this after laying a stone to a future monument in Moscow to Georgian soldiers who fought Nazism. He was accompanied by Georgian opposition leaders Nino Burjanadze and Nodar Nogaideli. 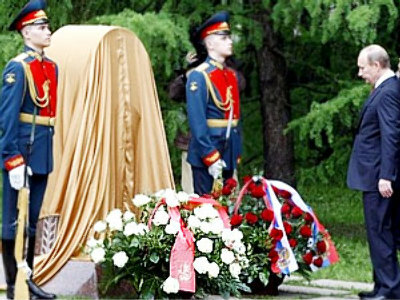 The monument on Poklonnaya Hill in Moscow is set to replace the memorial in the Georgian town Kutaisi, which was demolished last year on the Georgian government’s orders.